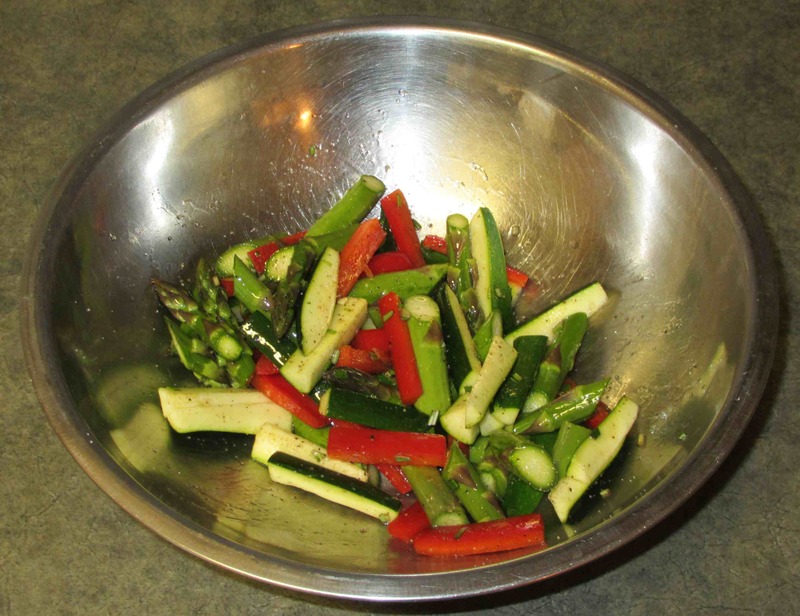 Toss the vegetables in a bowl along with the rosemary, pepper, four to five tablespoons of oil and a pinch of salt. Set aside to marinate for at least thirty minutes. 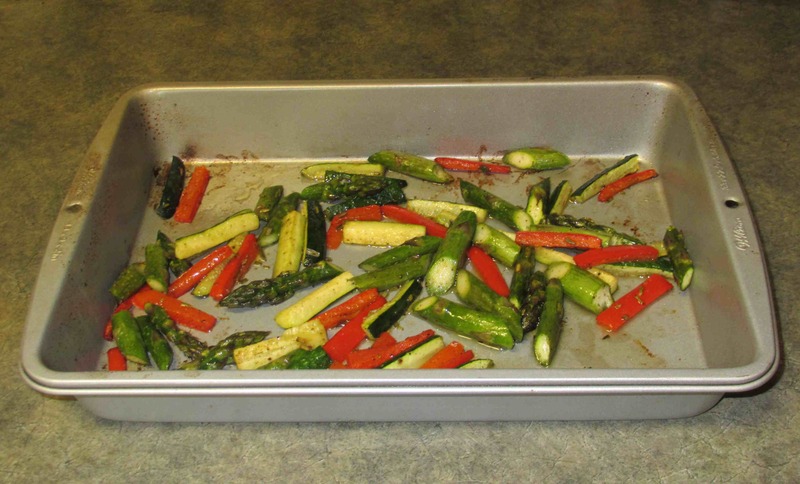 Spread the vegetables out in a roasting pan large enough that they have lots of space and are not jammed up against each other. Heat your oven to 450 degrees and then roast the vegetable for about twenty to twenty-five minutes or so, stirring a couple of times. 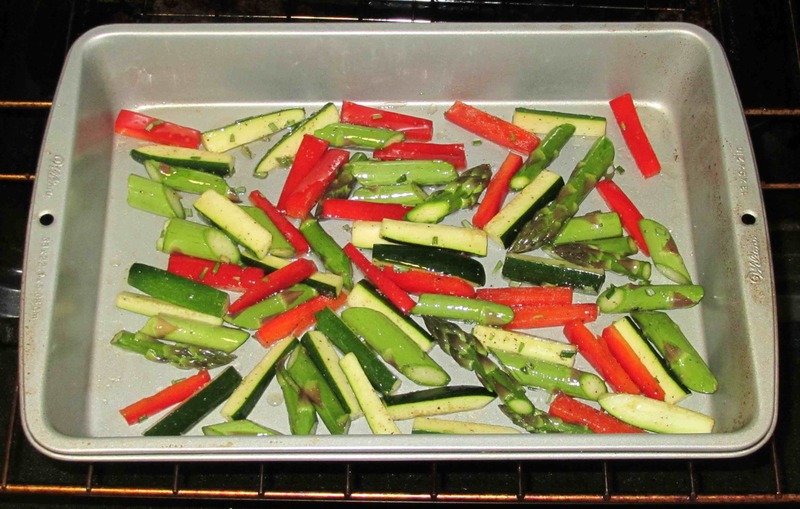 Keep an eye on them and remove them from the oven when they are tender and nicely colored. 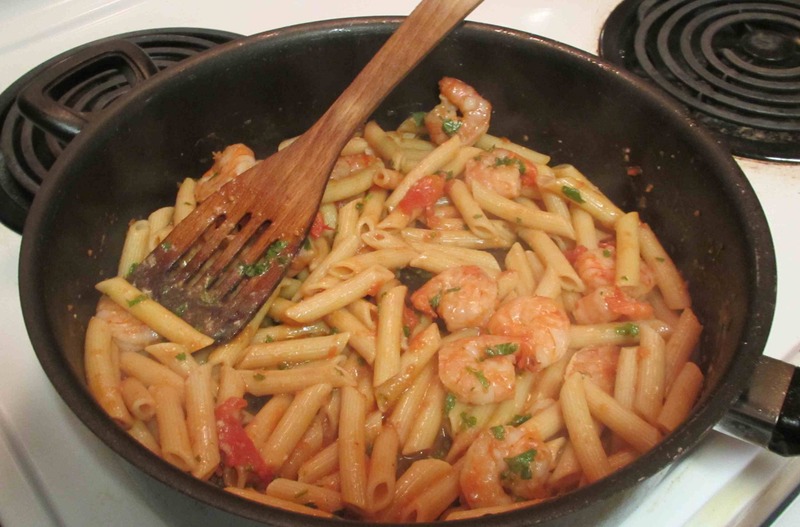 At this point, put the pasta on to boil in salted water. Just as the past is about done, heat a pan over medium heat and add a few tablespoons of olive oil (or butter if you prefer). 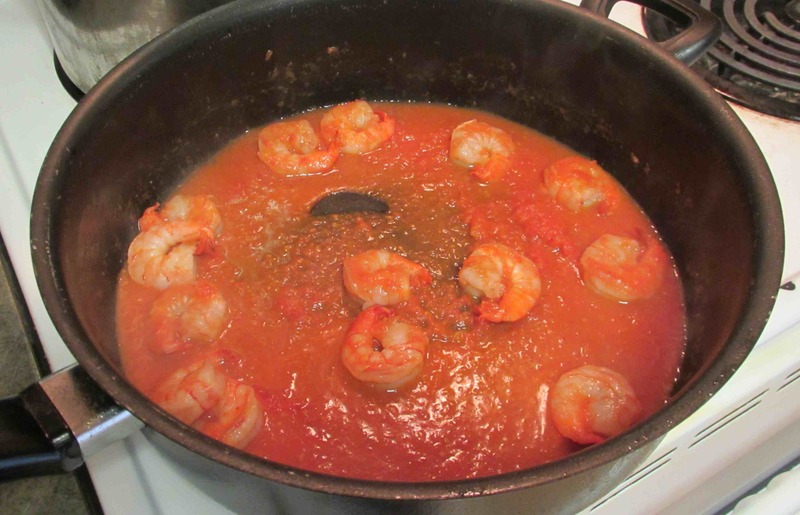 Now sauté the shrimp until nicely pink, sprinkle with a pinch of salt and add the tomato puree. 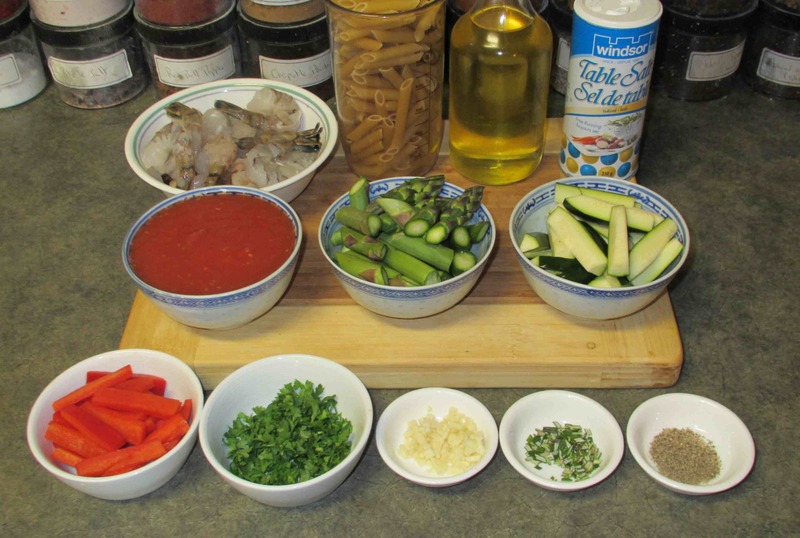 Just as the sauce begins to bubble and thicken a little, drain and add the pasta and a tablespoon or two of cheese and the parsley. Stir for a minute or so, allowing the pasta to absorb a little of the sauce and then add the garlic and the roasted vegetables. Continue stirring until the sauce coats everything and it is all completely heated through. Plate and serve immediately, passing extra cheese at the table. Does look rather yummy-just my sort of dish! I agree, I could eat that every day as well. So healthy and yummy. Sure looks delicious, great use of seasonal vegetables. That looks really nice. 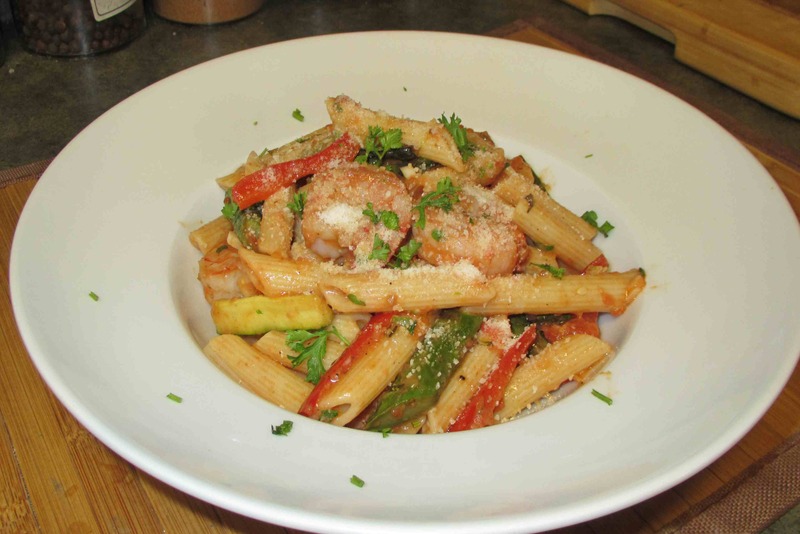 I love just about all roasted vegetables, and asparagus and shrimp compliment each other so nicely.